I have yet another giveaway today, this time from ever+mi crush, a really adorable shop that sells tons of great clothes at affordable prices. Remember this dress? It is from ever+mi crush and I love it! 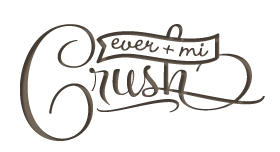 A $40 gift card to ever+mi crush. Visit ever+mi crush and tell me what your favourite item is. 4. Spread the word about the giveaway. Tweet "Win a $40 gift card to @evermicrush from @loveelycia http://www.loveelycia.com/2013/02/giveaway-evermi-crush.html"
The giveaway will close on Wednesday February 20th. Good luck! PS. The winner of the Shabby Apple giveaway is...Caroline. I am currently on vacation but I will be in touch soon! 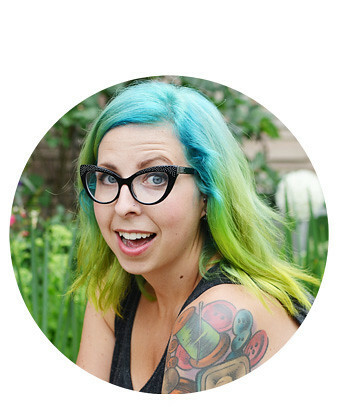 **EDIT: Caroline, the email address you left in the comments isn't working (carolinekolbe.now[at]gmail[dot]com) It keeps saying delivery failed. Please get in touch with me at loveelycia[at]gmail[dot]com. My fave is the dancing moon skirt. Simply stunning! Aaand I subscribed to their newsletter! I like the museum hop polka dot dress.Thank you for the giveaway!! I love the colours in the 'Flowers on Fire Scarf' - maybe because I'm hoping for warm weather! Wonderful shop!! I am smitten with the Parade of Polka Dots Dress + the Autumn Sunrise Dress!! I really love the Pretty Little Bow dress by Dear Creatures and the Autumn Sunrise dress!! I love the Heart on a String Dress. Okay... the I Spy jacket is awesome! Love it! I like the class act dress. It's so hard to choose but I think the "It's Maritime" dress is my favourite. I love this dress so much - French Vineyard Dress!! Please contact me at blessienelson(at)gmail(dot)com. Thanks for a wonderful giveaway! Great giveaway! I really like the Parade of Polka Dots Dress. SWOONING over the Sunny Afternoon Dresses! Thanks for the opportunity, Elycia! Ooooh man, the Ellen Dress by Darling UK is perfect! i'm in loooove with their dresses!!! if I win, I would get Sunny Afternoon Dress in Seafoam or the Pretty Little Bow Dress by Dear Creatures!! Hi there! I'm not sure if this give-away is open for me, as I live in Sweden, but I have to try! This prize is awesome! The item I would buy is the ''pure at heart dress'' (http://evermicrush.com/dresses/pure-at-heart-dress.html)! My favorite dress is Flower Shop Lace Dress!! It's so pretty! Please count me in! I'm now following Ever+mi on twitter!!! I love the blue "Off to Neverland Sweater"
I LOVE the easy breezy dress in mint! so adorable! My favorite is the Pretty Poet Blouse, so cute!! The Easy Breezy Dress in Mint is my favorite! Thanks for the giveaway! Well how could you not love the fabulous felines dress! What a cute store! It's so dainty and I could dress it up or down! The easy breezy dress in navy is amazing! I love love love the Parade of Polka Dots Dress dress! I love the Short Hand Skirt. Ahh! The peachy keen bird scarf is SO CUTE, I would definitely snap that badboy up! Also followed them on facebook! So many gorgeous choices, but the Birds of a Feather has to be my fave! So pretty! And I also liked them on facebook! My favorite ever+mi crush item is the Garden of Gold Dress. So cute!! I liked ever+mi crush on fb. The Simply Me Dress by Darling UK is.... well simply me! It's super cute!!! I am so in love with the Garden Tea Romper! I am really liking many of her tops! Thanks for the giveaway! I love their fast forward bangle! It's so hard to choose a favourite though!! I love the flock of birds skirt! Wow, love this shop! So many items to love, and the prices are really affordable! I'd say my two favourite dresses are Moonlight Garden Dress and Tea & Cake Lace Dress. I like the off to neverland sweater. I like the museum hop polka dot dress! I think my favourite item is the Ever Me Crush dress in Mint. My e-mail is hope(dot)moonshadowcat(at)gmail(dot)com. I liked them on Facebook hope(dot)moonshadowcat(at)gmail(dot)com. And signed up for their newsletter hope(dot)moonshadowcat(at)gmail(dot)com. I love their dress~ "Tea and lace!" So pretty! Adorable outfit! I'm really loving the Parade of Polka Dots Dress with the Solstice Infinity Scarf. Love, love, love the Sunny Afternoon Dress in seafoam! Such a lovely give away, I'd never heard of this site until I saw this post and I'm not smitten with the dresses. I'd love to buy the Garden of Gold Dress, and many many more!! I've liked, followed, tweeted and signed up to the newsletter. Hard to pick but I think it would be the Jupiter at Night dress. Indian summer earrings and necklace. So pretty! I can't decide between the Garden Tea Romper and the Lacey Leaf Belted Dress in cream! Both would be so perfect for spring! I can't decide between the Garden Tea romper and the Lacey Leaf Hi Lo Belted Dress in Cream! Both are so perfect for spring! I love the Museum Hop Polka Dot Dress! Also I subscribed to their newsletter. Also, liked Ever+Mi.Crush on Facebook! Lace be Elegant Jacket is perfect for spring! oooooh I like the Jupiter at night dress. So cute! I love the Abbey Road skirt. I can see myself wearing this with opaque tights and turtleneck sweaters. I looove their Easy Breezy dress in mint! I love the Easy Breezy Dress in Mint! My favorite item is definitely the Zoe Tote by Darling UK, but everything on the site is adorable! My favorite is the Pretty Little Bow Dress. So cute! I would love the Sunny Afternoon dress in seafoam. I love the Easy Breezy Dress in navy! It's so versatile, I am already thinking of how I would style it for every season. I like the Anastasia Dress!